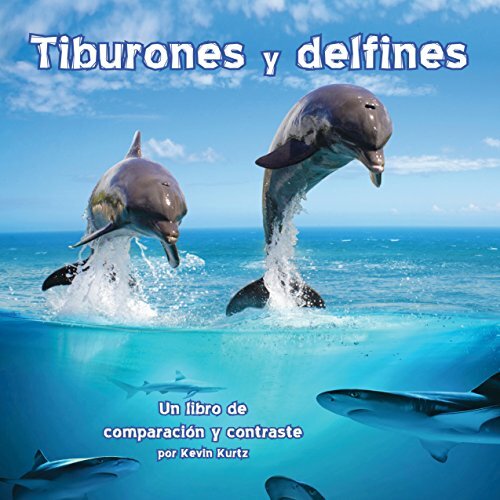 Showing results by author "Kevin Kurtz"
Los tiburones y los delfines tienen cuerpos en forma de torpedos con aletas en sus espaldas. Ellos se deslizan a través del agua para atrapar a sus presas con sus dientes filosos. Pero a pesar de sus similitudes los tiburones y los delfines pertenecen a diferentes especies de animales: uno es un pez y obtiene el oxígeno del agua y el otro es un mamífero y obtiene el oxígeno del aire. Travel deep into the ocean, way below the surface, and you'll encounter some creatures you never knew existed! 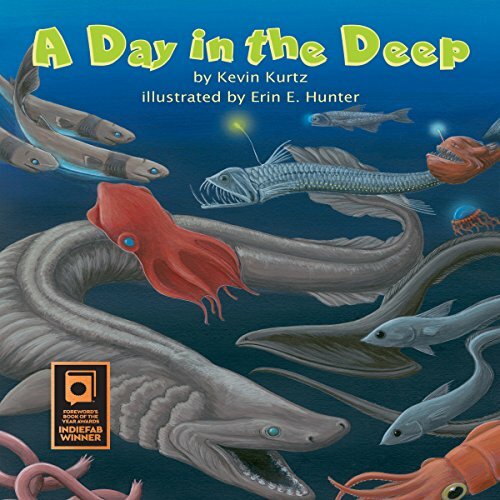 This audiobook takes you on a journey through the dark depths of the sea toward the ocean floor. Most ecosystems need sunlight, but deep in the ocean, where the sun doesn't shine, animals have adapted some very interesting ways to see, protect themselves, and eat. Discover the unique habitats, adaptations, and food chains of these deep-sea creatures. Viaja a las profundidades del océano, por debajo de la superficie y te vas a encontrar con algunas criaturas que ¡no sabías que existían! 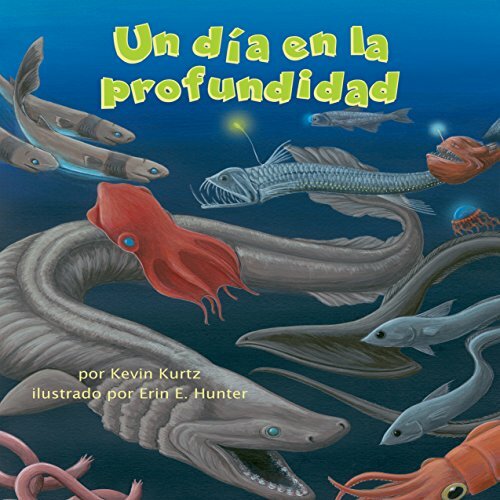 Este libro te lleva en un viaje a través de las oscuras profundidades del mar, hacia el fondo del océano. La mayoría de los ecosistemas necesitan luz solar, pero en el fondo del océano donde el sol no brilla, los animales han adoptado algunos aspectos muy interesantes para ver, protegerse a sí mismos, y comer. 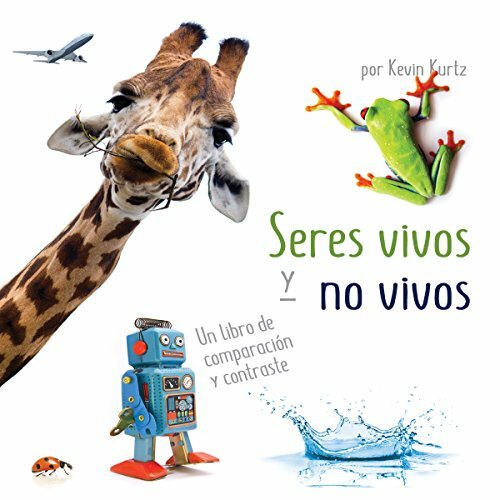 El autor Kevin Kurtz hace preguntas muy bien pensadas, incitando a los oyentes a determinar si las cosas son seres vivos o no vivos. Por ejemplo, si la mayoría (pero no todos) de los seres vivos se pueden mover, ¿se pueden mover los seres que no son vivos? Como parte de la serie de libros de Comparación y Contraste, éste es una manera única de determinar si algo es un ser vivo o no vivo. 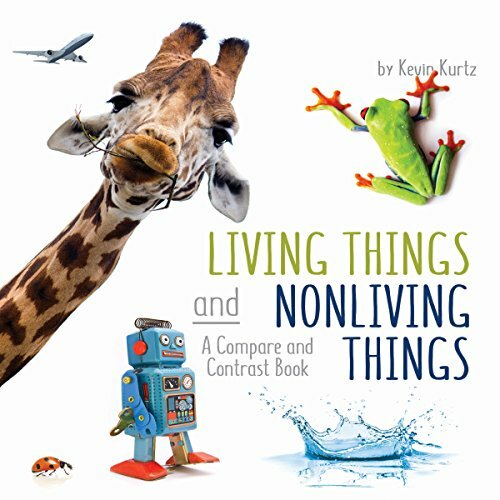 Author Kevin Kurtz poses thought-provoking questions to help listeners determine if things are living or nonliving. For example, if most (but not all) living things can move, can any nonliving things move? As part of the Compare and Contrast series, this is a unique look at determining whether something is living or nonliving. Sharks and dolphins both have torpedo-shaped bodies with fins on their backs. They slice through the water to grab their prey with sharp teeth. But despite their similarities, sharks and dolphins belong to different animal classes: One is a fish and gets oxygen from the water, and the other is a mammal and gets oxygen from the air. Marine educator Kevin Kurtz guides early listeners to compare and contrast these ocean predators through simple nonfiction text. 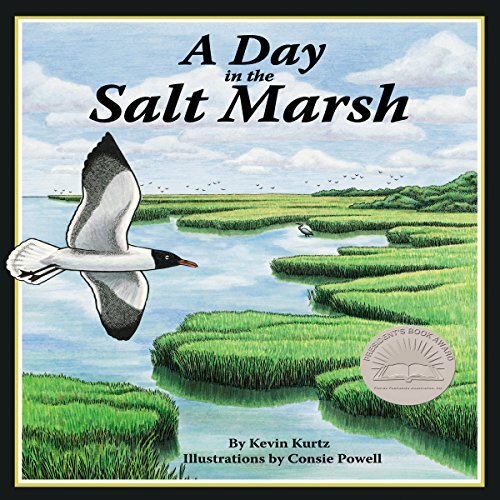 Enjoy a day in one of the most dynamic habitats on Earth: the salt marsh. Fun-to-hear, rhyming verse introduces listeners to hourly changes in the marsh as the tide comes and goes. Discover the animals that have adapted to this ever-changing environment as they hunt for food or play in the sun, and learn how the marsh grass survives even when it is covered by saltwater twice a day. An activity on adaptations is included in the "For Creative Minds" section. 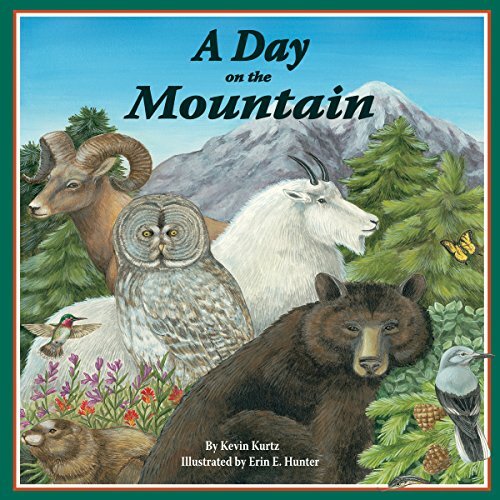 A Day on the Mountain is the follow-up to Kevin Kurtz's award-winning first book, A Day in the Salt Marsh. Rhyming verse and vibrant details take listeners up a mountain, from the forested bottom to the snow-covered top. While climbing, they discover the changing habitats and meet the plants and animals that live there. Learn about black bears, great gray owls, garter snakes, Clark's nutcrackers, bighorn sheep, hummingbirds, yellow-bellied marmots, mountain goats, salamanders, and snow fleas. 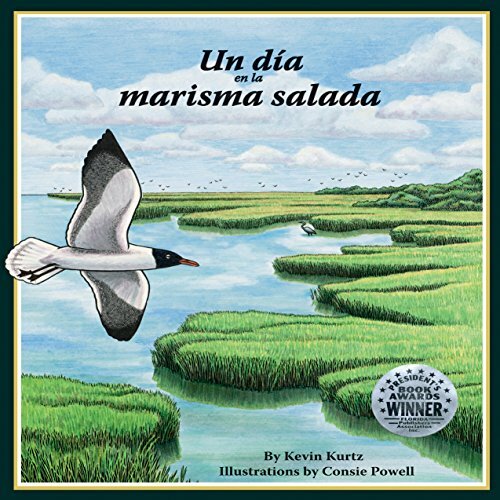 Disfruta un día en uno de los más dinámicos medio ambientes del planeta: la marisma salada. Este libro es divertido para eschuchar introduce a los lectores a los cambios que suceden por hora en la marisma mientras la marea sube y baja. Observa como los animales se han adaptado a este medio ambiente en constante cambio mientras cazan la comida, y juegan en el sol, y aprenden como la hierba de la marisma sobrevive aunque esté cubierta de agua de sal dos veces al día. 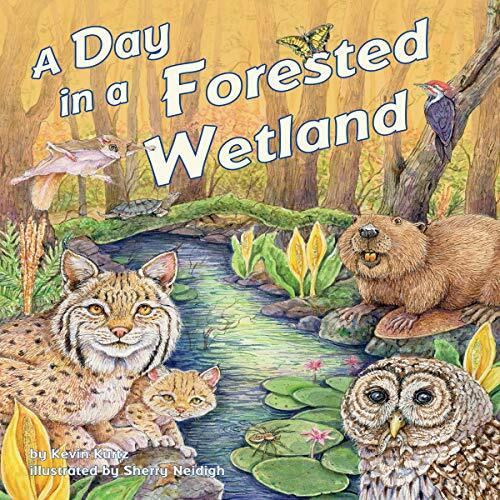 Come along on a journey through the aquatic habitat of a forested wetland. Meet birds and bobcats, along with the beavers and beetles that call the soggy forest home. Kevin Kurtz continues his award-winning A Day In series, and once again delights listeners with a rhythmic, nonfiction look into a typical day for the animals that live in this wet habitat.